Congratulations to the class of 2018 and their results! It is with great pleasure that St Andrews Christian College celebrates the outstanding academic results achieved by the class of 2018. Once again the school has had the largest number of students graduate in its history as well as the largest number of subject offerings made available to the 2018 students. 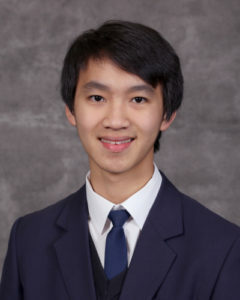 The top performing student, and Dux of the College for 2018, is Caleb Wu, who achieved an ATAR of 98.95! – an incredible accomplishment and one he can be proud of. Caleb completed his entire schooling at St Andrews from Prep., all the way through to Year 12. One of the highlights was seeing how Caleb was able to reflect on the ways in which he was taught, and grew over the years, in areas that extended far beyond his academic studies. Forty percent of our St Andrews students achieved ATARs above 80 with many being offered places at a range of universities that include: The University of Melbourne, Monash University, RMIT, Deakin, Latrobe and Swinburne in diverse disciplines such as Biomedicine and Fine Arts to Exercise and Sport Science and Business. All staff at St Andrews are delighted to see our students successfully move on from the college and take their skills and learning to positively impact all parts of our society. Please continue to pray for these students as they transition to University.